After much anticipation, King Oaks’ first gated neighborhood is here! With a limited number of homesites available, this neighborhood is a must see with exceptional features. As we approach the final section of homesites ever to be available in King Oaks, now is the time to learn about this private, beautiful area and secure a homesite for your future. For a copy of the interactive map or to schedule a tour, call Chris Boyd at (936) 394-3550 or email chris@kingoaks.com today. 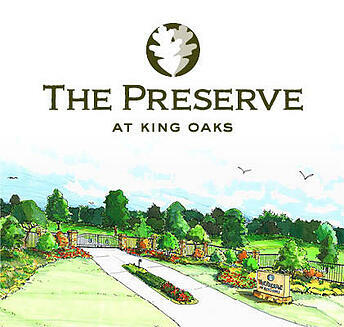 Learn more about The Preserve at King Oaks. The King Oaks pool is cleaned twice a week on Mondays and Thursdays. The pool cleaners also come out after major rain events to ensure the water quality. A new skimmer net will be installed in the coming weeks, and we welcome residents to use it if they see debris in the pool area. If the pool needs attention please contact Jesse Keasler at jesse@southstarpropertymgmt.com. Join us for Water Aerobics at the King Oaks pool every Monday, Wednesday and Friday at 9am as well as Tuesday and Thursday at 6pm. 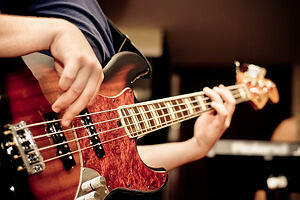 Classes are $7 per class and open to King Oaks residents and their guests. Join the women of King Oaks for a monthly lunch at one of Bryan-College Station’s best restaurants. Check Nextdoor.com for dates and locations. Come out and celebrate summer, catch up with friends and meet new neighbors at the King Oaks Community Picnic. Lunch will be provided and be sure to bring any friends or family members interested in visiting King Oaks. Interested in hosting a King Oaks Aggie Watch Party at your home this season? Please contact us at heather@southstarcommunities.com. 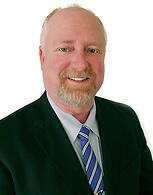 We truly appreciate your referrals to friends and family that have helped this community grow so well over the years. Don’t forget that as a way to show our appreciation, we have a referral program for all King Oaks property owners. If you have a friend, co-worker or family member interested in the community, tell us and we will give you $500 once they close on their new homesite. If you have a friend or family member interested in living in King Oaks, please contact chris@kingoaks.com. Bring the family out to Messina Hof on August 6, 2016 for a fun-filled day of picking and stomping the grapes that go into making Messina Hof’s award-winning Ports. 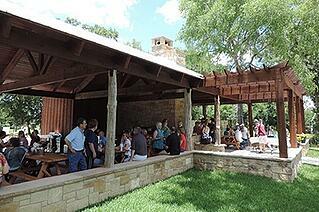 Stay for a tour and tasting, and Vineyard Cuisine lunch buffet. Finish off your afternoon with a food and wine pairing class. You’ll also receive a souvenir “Harvest Crew” t-shirt signed with your purple stomping feet. Let the fun of Harvest continue on Friday and Saturday nights for specialty events that feature world class Vineyard Cuisine expertly paired with Messina Hof’s finest wines. Tickets range from $35 to $80 and are available at all Messina Hof winery locations or online at www.messinahof.com. Last season’s special event with Lyle Lovett and John Hiatt sold out so quickly, would-be ticket buyers had to be turned away months before the concert. 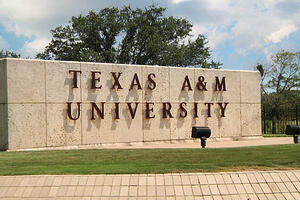 So, when Lyle was invited back to Aggieland as part of his summer tour, his answer was yes! This very special season opening concert on August 27 will feature Lyle with His Large Band in the 2,500-seat Rudder Auditorium. A singer, composer, and actor, Lyle Lovett has broadened the definition of American music in a career that spans 14 albums over three decades. Showtime is 7:30 p.m. and tickets start at $26. Visit http://mscopas.org/lyle_lovett.html for more information and to purchase tickets. On September 1, 2016 join The Women Former Students’ Network and fellow Aggie Women at Messina Hof for another 1st in Aggie history: all three top student leaders are Aggie Women! After their speeches, meet A&M’s 2016-2017 Corps Commander, Cecille Sorio, Student Body President, Hannah Wimberly, and Senior Class President, Claire Wimberly and network with fellow Aggies and friends. Door prizes, raffle, silent auction, photo opportunities with the three leaders, gourmet hors d’oeuvres, and cash beverage bar available featuring Messina Hof’s exclusive Aggie Network wines. Visit http://www.aggienetwork.com/wfsn/ for more information on the organization. Property Manager Jesse Keasler tours the community each month to ensure POA Design Guideline compliance. The community’s guidelines can be found here: http://www.kingoaks.com/owners/documents. If you see anything that needs the POA’s attention, please notify Jesse at (888) 680-0979, or stop by the Development Office at Highway 30 and CR 175 every Wednesday from 2:00 p.m. to 4:00 p.m. Thank you for your help as we seek to keep King Oaks looking beautiful. We hope you are finding NextDoor.com, the private social media site the POA has set-up for King Oaks, to be useful. This site helps you stay connected to what’s happening in the community, share important information, RSVP for neighborhood events, or simply get feedback and information from your neighbors. This is your tool – for King Oaks owners and neighbors to share information and communicate with each other. Join the discussion at kingoaks.nextdoor.com. You will need to have your lot or home address handy to get signed up. Please contact help@nextdoor.com with any issues pertaining to the website. SouthStar Property Management is the managing agent for King Oaks which provides support to the community, carries out the direction of the Board of Directors and facilitates the day to day operations of the Association. If you wish to pay your POA dues online, review governing documents, obtain the Architectural Review Board application form and other blank forms, or to report violations, please visit the King Oaks owner website at http://www.kingoaks.com/portal. An email with instructions for login to the website will be sent to you upon closing. If you have not yet received this email, visit http://www.kingoaks.com/credentials to request login credentials. Property Manager Jesse Keasler and Director Diane Malloy can be reached at (888) 680-0979 via email at info@southstarpropertymgmt.com. Jesse will be in the office most Wednesdays from 2:00 p.m. to 4:00 p.m., please feel free to set up an appointment to discuss your needs during those days.